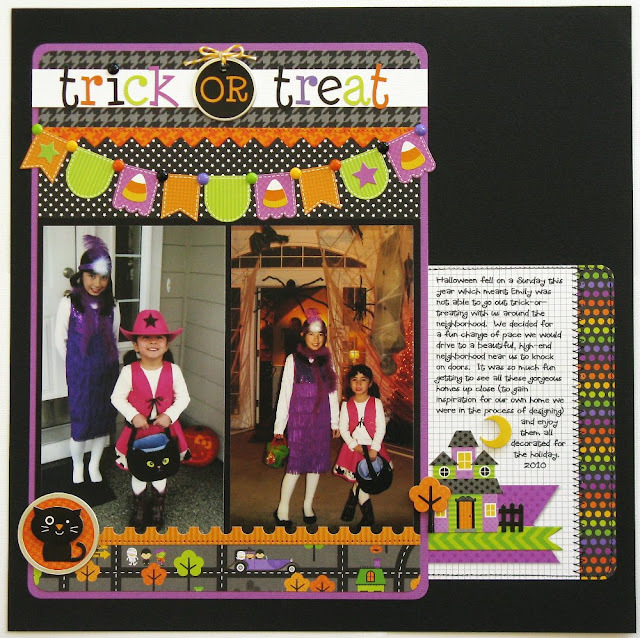 I'm back today to share some layouts that were featured on the Doodlebug blog yesterday. 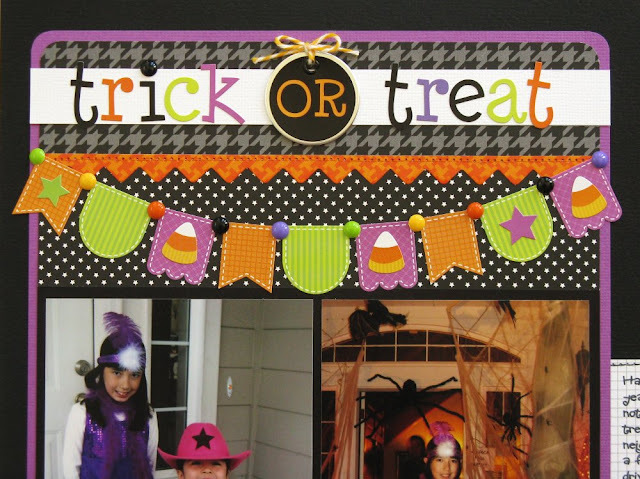 This first layout was the first project I created with the Halloween Parade collection so it was particularly fun creating with a fresh new box of untouched goodies! 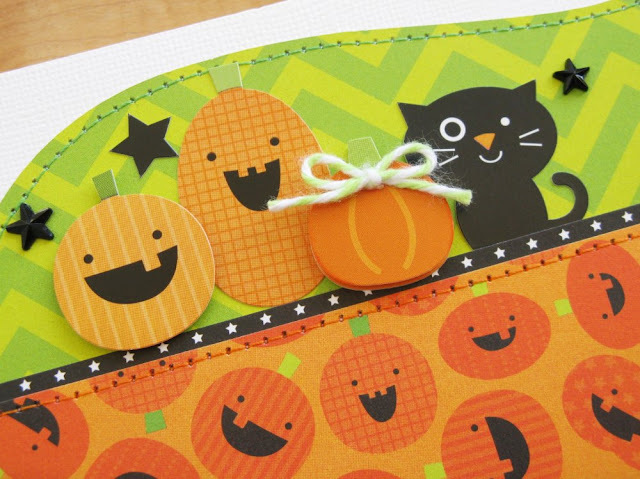 I knew I wanted to find a way to use that darling haunted house neighborhood paper and in the end I tried to find the best section to squeeze onto my little border. For my journaling I used one of the 4x6 album inserts and dressed it up with some machine stitching to give the appearance of extra layers. I love the haunted house doodlepop and thought it was the perfect embellishment to match my photos and journaling. 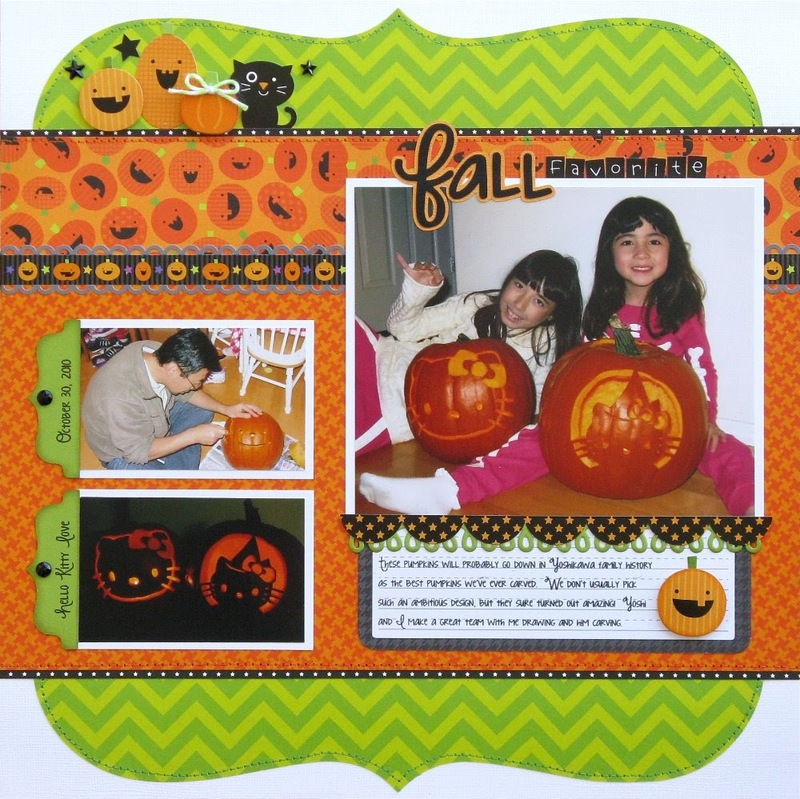 My second layout focused on photos of us carving pumpkins so I tried to use all the pumpkin images from the collection. I started by selecting the pumpkin patterned paper and pulling all my colors for the page from it. For my little pumpkin grouping I used stickers and doodlepops from several different sheets, popping up one of the pumpkins with foam tape to give different levels of dimension. I though the cat fit in well with our kitty pumpkins. Another favorite of mine are Doodlebug's super cute star jewels! I once again journaled on one of the 4x6 album inserts. The card came with a pumpkin printed on it, but I decided I liked the look of another doodlepop layered over the top instead. Absolutely lovely layouts! 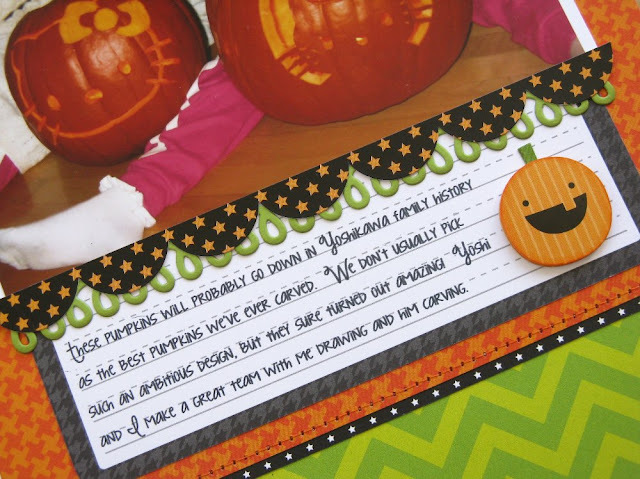 What cute trick or treats and awesome pumpkins! I just love your style! I have a ton of your layouts pinned. Thanks for the inspiration!